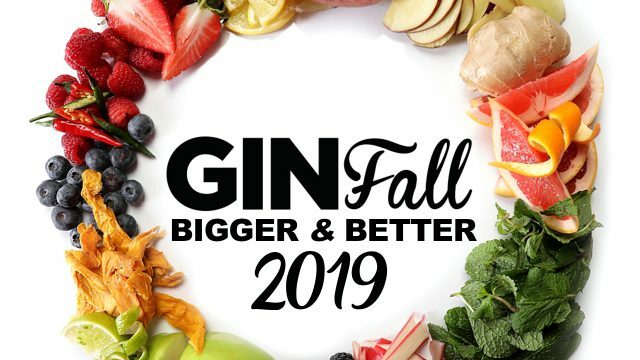 So many gin-lovers enjoyed the Ginfall Festival events in 2018, the organisers have announced plans for 2 events in 2019 and they promise these will be bigger and better than before! Gin fans in Helensburgh will be able to attend the event in the lovely location of Victoria Halls in Saturday 16th March, and the festival will be a The Station Hotel, Perth on Saturday 7th April. The events promise to be the perfect mix of Gins, Live Music, Food and Cocktails for a great day or evening out. GinFall is one of the top Gin Festivals in Scotland and in 2019 they’re set to bring even more gins to sample, food to taste, specially created cocktails to savour and new rooms to explore. As well as the opportunity to try a huge variety of gins from all over the world, (including exclusive gins you won’t see anywhere else) there will be live music, great food and a premium Gin Cocktail Bar, plus an exclusive range of gin liqueurs from around the globe – new for 2019. Every Ginfall event entitles ticket-holders to a free gin cocktail on arrival – conjured up by a team of expert mixologists. There will also be gin cocktail masterclasses and the opportunity to meet gin distillers in person, try free samples and chat about their gin. In 2019 GinFall will be adding The Tiki Rum Room, where you can sample some of the best rums from around the world as well as the best Tiki Cocktails this side of Hawaii! To find out more, view videos and get your tickets, click here to visit the event website.